Pronovias are the largest and most well respected bridal designers in Spain. 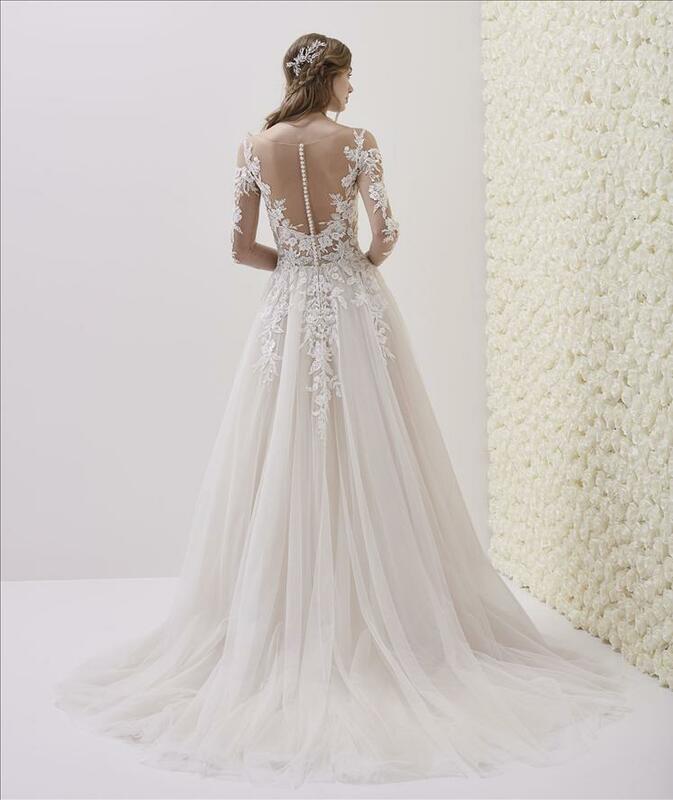 Famous for their stunning lace wedding dresses and cutting edge styling, Pronovias sets brides the world-over into dress frenzy, season after season. These decadent gowns range between £1200-£2300. 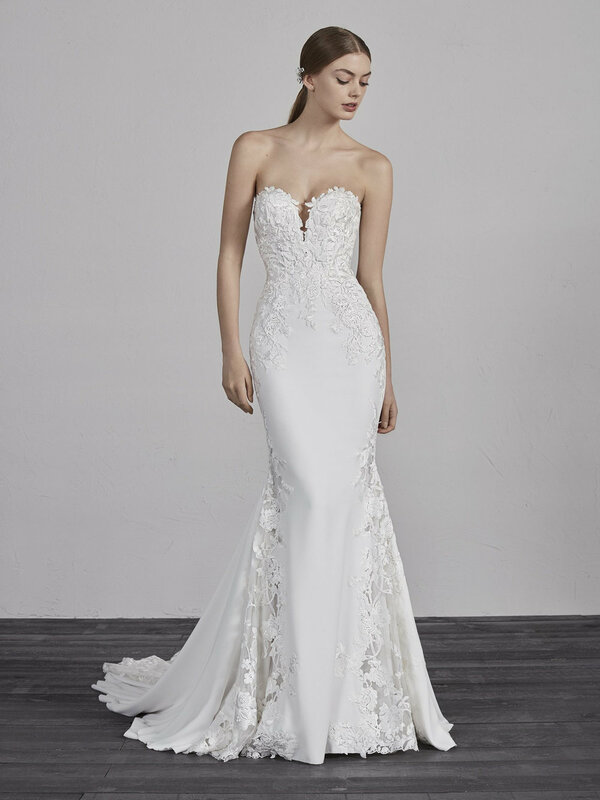 View the full Pronovias collection on their website. 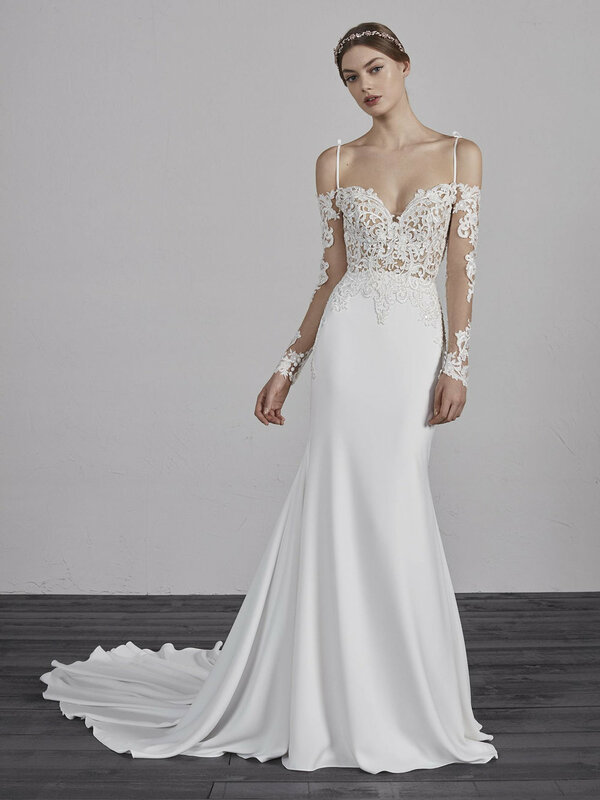 If you see a dress from Pronovias that we don't have, we offer a loan service for £60 which is fully redeemable against the cost of any dress order placed with us. We hold a sample of all the dresses pictured on our website - typically over 30 dresses from this world famous designer, making our selection one of the largest in the area.